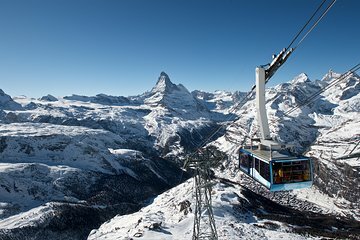 Great way to see the Matterhorn. I'm not sure why there were so few people because it is really worth doing. I think it is because there is very little advertising/signage in the town about it and you have to walk about 5-10 minutes from the centre of town to the funicular.